There is nothing like a traditional fruit cake, made in advance and regularly drizzled with rum or brandy for weeks before Christmas. However I’m generally the one making last minute Christmas cakes as the hours tick down till the big day! 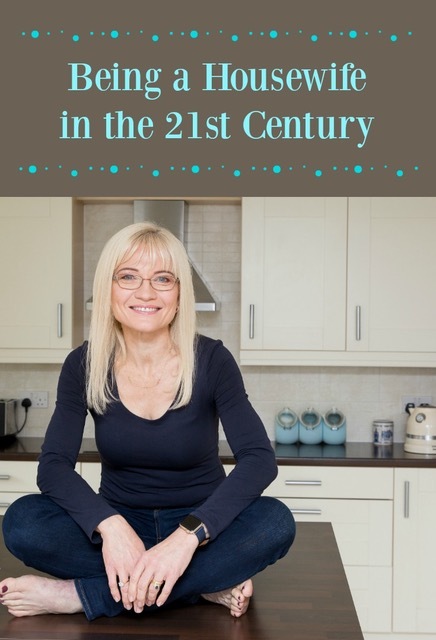 Many of us find that being organised enough and having the time to make a cake like that can be a challenge with our busy lives. So what to do if you have left everything far too late and you need a dessert that everyone will love? Worry not! 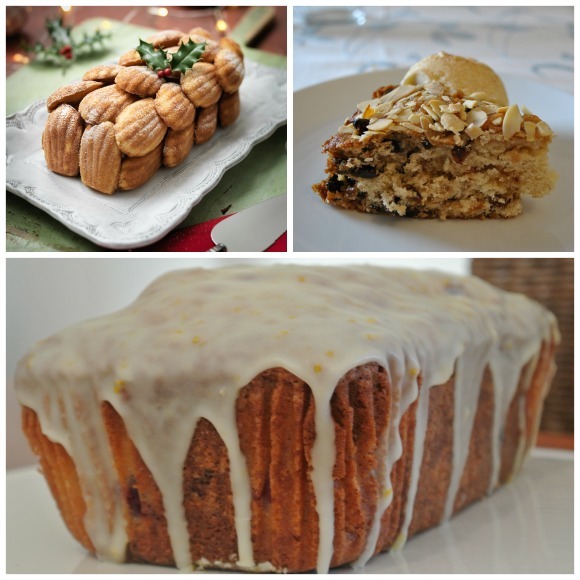 From an elegant Bonne Maman Madeleine Christmas Cake to a quick homage to traditional fruit cake and a lovely loaf cake with lots of seasonal flavours, I have your back with these last minute Christmas cakes. 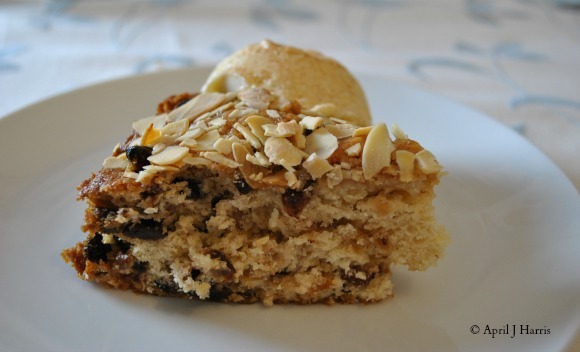 If you want the flavour of a traditional Christmas cake without the fuss, my Brandy and Mincemeat Cake is the one for you. Its moist crumb and rich spices make it one of our favourite last minute Christmas cakes. It’s great sliced on it’s own with a cup of tea or with ice cream for a more substantial dessert. Prefer something a little lighter? 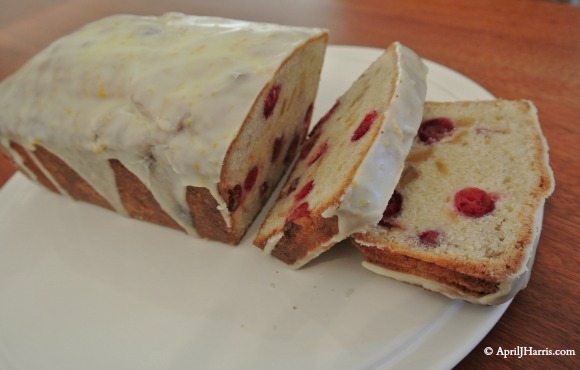 This Cranberry Orange and Ginger Loaf is a really a quick bread but the delicate orange glaze makes it elegant enough to call a cake. Studded with cranberries and crystallised ginger, this too is perfect either on it’s own or served with some ice cream alongside. This Bonne Maman Madeleine Christmas Cake is, I think, the most beautiful of the last minute Christmas cakes I have for you today. Designed by French pâtissiere Eric Lanlard for Bonne Maman, it is a glamorous take on “La Buche de Noel”, a classic French Christmas cake. 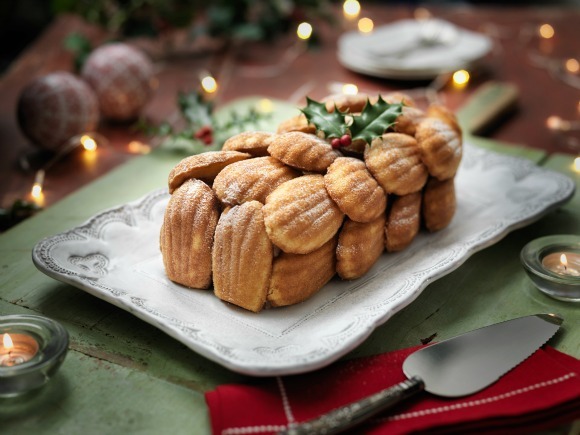 Featuring layered Bonne Maman Madeleines soaked in rum with chocolate mousse and chestnut cream, it’s guaranteed to impress this festive season. Although it needs to chill and set overnight, the recipe takes under half an hour to whip up and just a few minutes to decorate on the day. I’m definitely going to give it a try! Line a 20 cm long loaf tin with parchment or baking paper and set aside. Add 8 teaspoons of water to the chocolate and mix until smooth and glossy. Add the mixed spice and leave to cool. Gently fold the whipped cream into the cooled chocolate mixture. Set aside. Slice 5 Bonne Maman Madeleines horizontally and use them to cover the bottom and sides of the tin. Mix the remaining 7 teaspoons of water with the rum, then use a pastry brush to soak the Madeleine slices. Cover the Madeleine layer with about half the chocolate and cream mixture. Cover this layer with 5 more horizontally sliced Bonne Maman Madeleines. Spoon the chestnut cream evenly over this layer of Madeleines and then carefully cover with the rest of the chocolate mixture. Place another layer of 5 horizontally sliced Madeleines on top, press down well. Cover with cling film (plastic wrap) and place in the fridge overnight to set. Turn the log onto a serving plate, garnish with remaining Madeleines and dust with icing sugar and any decorations you like. As you can see, it’s never too late for last minute Christmas cakes! If you enjoyed this post you may also like My Best Cake Recipes 2014. I received a gift bag from Bonne Maman. This has not affected the opinions contained in this post, all of which are my own.